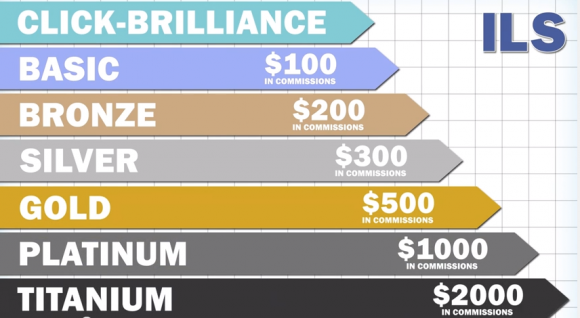 Click Brilliance Review - Infinite Leverage System - Damn! Click Brilliance Review – Infinite Leverage System – Damn! Infinite Leverage System has a clever idea. Can it work? Overview: A clever work around for an online MLM system using traffic sources packaged as “product” to sell to down line. Not the usual overcharging training or courses offered by other online MLM companies, but overcharging clicks packages. The core product Click Brilliance is just a software tool to monitor your traffic and your commissions. I was researching on Click Brilliance and Google returned me a lot of results related to Infinite Leverage System. I was confused. “What is the relation between the two products?” and “How does it work together?” were the first 2 questions in my mind. After I did some more research, I began to understand. Let me share with you in more details. First of all, it was very frustrating for me when navigating Infinite Leverage System Official Website, as there was no clear explanation on the Infinite Leverage System. I have quoted some of the contents here and these were my thoughts when I was reading through the contents of the Website. Click Brilliance is unlike anything else of its kind on the market today. Whether you’re dealing with a few hundred clicks or tens of thousands of clicks, Click Brilliance provides you with the greatest possibility for increased click value, one click at a time. Advanced Link Tracking: You’ll always know where your traffic is coming from as well as details such as geographic location, devices, and much more! Mobile Tracking & Redirection: This can increase your ROI by sending mobile and tablet traffic to a website that’s designed for these types of devices. Website Monitoring With Optional Redirection: Websites go down… This module will monitor your website and if it’s unreachable, will send your traffic to a “backup” website so your traffic is never wasted. It can also simply pause your traffic until your website is back online. Pop-ups & Count-down Timers: Pop-ups and Count-Down Timers are proven methods for increasing optin rates and sales conversions. Now you can add these proven methods to ANY website you wish! Website Rotator: The website rotator allows you to quickly and easily send traffic to multiple websites. This is perfect for running co-op campaigns or just sending traffic to multiple websites. Each website in your rotator will receive as much or as little traffic as you wish. Split Tester: You’ll quickly see which websites are producing the most leads and sales enabling you to send the remainder of your traffic to the highest converting site. 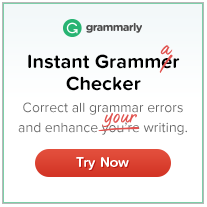 This virtually guarantees higher conversions across the board! Duplicate Click Redirection: About 10% of people click on an advertising link more than once. These people become stale after a certain amount of time has passed. This module gives you the ability to send these people to a fresh website which can increase conversions up to 12%. GEO Targeting: Many products and services are only available to customers from certain geographical locations. This module ensures you never send traffic to product or service that’s not available in their region by offloading unwanted geographical locations to another website. So you see, I have so many questions in my mind. The information provided is not clear and confusing. Most modules can be obtained FREE and they are charging USD27/mth for this! These already make me feel that Click Brilliance could be another scam. Well, I move on to find out what does Infinite Leverage System’s traffic package has to offer. Lets see how much does each package cost. Average USD1+ per click and there were no clear explanations on where do their traffic sources come from. Expensive! We send all of our traffic through our proprietary “Real Time Conversion Engine” before it’s released to you (if it qualifies). Our “Real Time Conversion Engine” weighs the quality of the traffic in real time, based on internal conversion rates from a given traffic source. If a source’s conversion rate doesn’t meet our strict standards, it’s stopped immediately. This ensures that you’ll pay only for what your traffic is worth, and you’ll never waste money on a flood of worthless clicks. Now this is interesting, do they mean that the “Real Time Conversion Engine” can actually filter traffics that have a “buying” intent from their traffic sources? If this is true, this system is going to change the whole affiliate marketing industry! It is not necessary to build websites with contents that can benefit visitors anymore! Every affiliate marketer can just creates websites with affiliate links pasted all over, buy traffic packages from Infinite Leverage System and ta-da! Instant Success! Who needs Google or other Search Engines? Wait a minute! Let us think more rationally, the Internet will be deprived of valuable contents when someone needs them if all affiliate marketer uses this system. This will start a negative chain reaction. Where is the source of traffic going to come from if there are no valuable contents on the Internet anymore? Very clever, affiliate marketers do really need traffics to their websites. A strong point for their sales pitch, but not convincing enough for me. The big question here is traffic with “buying” intent. Is it overrated? Strangely, at Infinite Leverage System Official Website, there was no information on any affiliate plan. But you can find many reviews or landing pages from Infinite Leverage System affiliates promoting it. How much commission does each affiliate earn from selling the traffic packages? Finally! Now you know what is Infinite Leverage System all about! MLM! 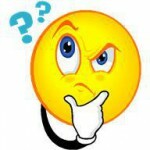 If you are new to MLM, read How MLM Works HERE. If you become an Infinite Leverage System Affiliate, honestly, which traffic package would you want to buy and channel the traffics to? I would go for Titanium and channel all my traffics to my landing page that promote Infinite Leverage System. Would you too? So now we finally understand the clever scheme behind Click Brilliance and Traffic Packages. Click Brilliance is the trip wire to lure us into the Infinite Leverage MLM System. Then, they will show us all the promotional videos to encourage us to go for Titanium Package. Including the video you have just watched. Would you jump right in? You set up your website or landing pages and start driving the “buy intent” traffic to your website. Yeah! You start to see some sales of Click Brilliance (Trip Wire) but not many people are willing to buy the expensive traffic packages. Your commission is totally not what you expected and you are still making lost as you have invested USD4297. Your click balance is running low. Finally you use up your clicks in the package, and you calculated your losses. Would you just give up or would you buy another Titanium click package and keep going on and on? FYI, USD4297 is equivalent to ~12 years of Wealthy Affiliate University Annual Premium Membership as of the date of this post! The truth is, this MLM system may work at it beginning stage, if the claimed traffic with “buy intent” is true. As the system grows and grows, can the “buy intent” traffics be distributed equally among all members? If you belong to the lowest level of the system, the above scenario is highly possible! Another big question is, can they guarantee every click is a close deal? Pay special attention to Clause No.13, I quote some excerpts from the paragraphs. YOUR USE OF THE WEBSITE(S), SERVICE, AND CONTENT IS AT YOUR SOLE RISK. ALTHOUGH COMPANY CONTENT MAY BE UPDATED FROM TIME-TO-TIME, IT MAY BE OUT OF DATE AND/OR MAY CONTAIN INACCURACIES OR TYPOGRAPHICAL ERRORS. COMPANY MAKES NO WARRANTY OR REPRESENTATION AS TO THE LEVEL OF SUCCESS, IF ANY, INDIVIDUALS MAY ACHIEVE BY USING ANY OF COMPANY’S SERVICE. There is also a link on Refund Policy located at the bottom right corner. Beware! Infinite Leverage System does not allow any refunds. Due to the nature of Infinite Leverage’s business model and the accessibility of our products, immediately upon the submission of your Credit Card Authorization Form after the time of purchase there is a strict no refund / return policy, which begins at the time of purchase. Only through Affiliate Links, one can enjoy offer of FREE 7 Day Trial. I tried clicking through the affiliate links to the payment page. I noticed under the Free 7 Day Trial Terms that is an additional USD24.95 for the purpose of admin fee! No one ever mentioned this admin fee in the Official Website, reviews and affiliate sites I came across! This is really a scam in my personal opinion. Do take note of the recurring USD24.95/mth expenses before profit. In all businesses, it is recommended that you manage your cash flow properly, especially if you planned to invest into Click Brilliance Software and Infinite Leverage System Traffic Package. To escape the rat race, you need to earn more than you can spend. Check out my #1 Escape Tool! It is important to manage the cash flow of your business. Do not borrow money to buy the highest Titanium Package if you cannot afford it. Start at the level that is within your means. Test out the system and the quality of the traffic first. 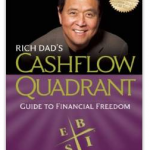 If you wish to learn more about cash flow. I would recommend a very good and easy to understand book by Robert Kiosaki. This book was published many years ago and I believe it is still relevant to many of us now. I rated Click Brilliance – Infinite Leverage System 1.0 star because I believe it is not a good tool to help one Escape the Rat Race. Click Brilliance Software was not explained clearly and the source of traffic is really an unknown. Infinite Leverage System traffic packages also cannot guarantee that the traffic they send to your site is a 100% close deal, so the risk is high! Pioneers may benefit from the system just like any MLM system. It will become more and more difficult for lowest level’s members to recruit as the members grows. This is because Infinite Leverage System’s source of “buy intent” traffics have to be allocated to thousands of members! If you are really keen to build an online business, there is genuine FREE* training on how to build a successful online business without using the MLM way, you might want to explore other alternatives and invest your time and money wisely. ← Legitimate No Fee Work From Home Jobs For Moms – Top 7! Thanks Nada! You are Welcome! Thanks for sharing Edmund. I almost signed up for the Click Brilliance Package but decided to do more research on it first and found your post. You have so much detail information here that is really useful! Keep up the great work! Hi Kim, you are welcome! I am glad that the information here created values for you. A real review would be actually purchasing the product, testing your web pages and seeing how they convert for your offers. Click Brilliance cannot guarantee sales, nor could any other traffic source for that matter. They have no control over the websites/offers you are sending traffic too. For anyone reading this review and find it valuable…beware of the ulterior motive of the author. He is just trying to get you to take a look at Wealthy Affiliate by posting negative reviews of other opportunities. You can’t believe everything you read on the internet, so do your own do diligence. Thank you Jeremy, for taking your time to read my article and writing a constructive comment. First, thank you too for acknowledging that Click Brilliance cannot guarantee sales. This was not clearly told or explained to prospective client by the official page and other promotional pages. Unless the prospective client did their due diligence to read through all the disclaimer clauses with difficult to read wordings. Second, I agree with you that you can’t believe everything you read on the internet, precisely, I did my own due diligence to spend a few days researching about this product and shared my views here in this post. Third, Yes, I have an ulterior motive for my reader to take a look at Wealthy Affiliate University where there are FREE resources to teach about Internet Marketing. In this way, they can avoid spending money on the wrong product and be sure of themselves whether they are suitable in Internet Marketing, before taking a leap ahead. I sincerely hope that you could take a look at Wealthy Affiliate University’s FREE courses too. Fully mirrors mine and others experience of this product, several of my colleagues tried this and found something strange with the click brilliance system. This may explain your comment on how ILS propose a work around for supplying enough buying clicks as the system grows. No matter where they sent their click brilliance traffic the opt in rate would cap at 20 percent, but when they ran solo adds to the same opt in pages they would report opt in rates of 40-50 percent. Where where all the other clicks going? The reality is this system does not convert well and only supports the guys at the top of the system who benefit from free pass ups from their downline who in turn are unable to build a downline due to poor quality traffic. Hi Steve, thank you for sharing your own experience here. I believe your sharing here will definitely create values for anyone who are looking for Click Brilliance Review before they make a decision to take part. Its not too late to exit the system if it doesn’t work for you. Just treat it as a learning experience. Please do share with your colleagues my Wealthy Affiliate University Review and perhaps check out the free lessons on internet marketing. 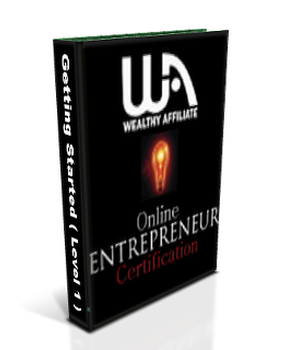 Hope the lessons will provide them a new perspective on how to make money online. Sincerely wish you and your colleagues the best! Thank you, Edmund, for the information! I received a text to my phone about ILS. I don’t even know how they got my phone number, but when I received the ad, I decided to do more research. This review definitely helped me to get a better understanding of the program. 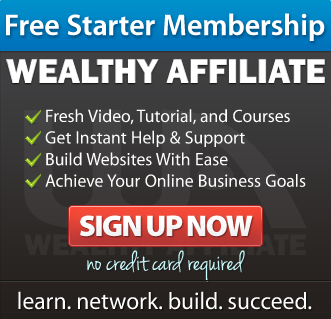 As a side note, I love Wealthy Affiliate! They are an amazing asset for anyone who has low to no budget, but would like to learn how to utilize affiliate marketing. I have been in the process of building my business for free with their assistance and the assistance of the community that supports them. 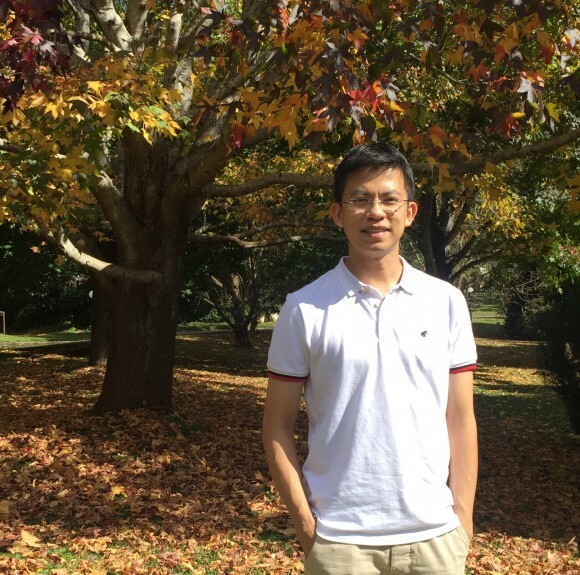 I would highly encourage you all to take Edmund’s advice and check them out. It is free, they don’t even require you to put a credit card number and they have been such a great help as I start to build my online business. Hi Liz, you are most welcome! Wow, they even blast text to mobile nowadays. Hopefully your country has a Do Not Call Registry to prevent unauthorized spam texts like this one. 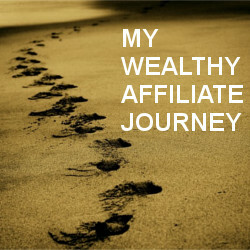 I am really glad that you are at Wealthy Affiliate University now. I totally agree with you that the training and support from the community are Awesome. There are many successful internet marketers in the community who offer helps and create free training that one might have to pay huge amount of money elsewhere. Even the Wealthy Affiliate University owner, Kyle is in there to offer his advice and help too! Thank you Liz, for sharing your personal experience at Wealthy Affiliate University with us. You have created values for many honest person looking for a genuine school to learn about Online Internet Marketing.